As a blogger it's difficult to look at something and think that it can't be done better. In fact when you have a ton of blogs for a game all devoted to the same thing a lot of the content that you see is recycled from one blog to the next. When I first set out to create a Guild Wars 2 Crafting Guide I was looking through a bunch of different research on blogs, forums, major websites and just about anything else that I could find to try and compile an in-depth guide to help all of you understand the crafting system in Guild Wars 2. The more I looked the more I found one specific thing. Everybody seems to be referencing a certain set of videos from a user on YouTube who has just done a better job than anyone else can. After watching them I just accepted the fact that I could not possibly rewrite it or do any better because this guy has done it as perfect as perfect gets. Today's post was supposed to highlight all the different features of of the Guild Wars 2 Crafting System. after I began working on it I decided to scrap this post entirely and flat out admit defeat to Enigmus1. I decided that it was more appropriate to just give credit where credit is due because this guy has done a fantastic job. He's made the best guided YouTube videos that I have seen for the game so far. So here you are ladies and gentlemen – the Guild Wars 2 Crafting Guide that I could not possibly do any better and I willingly give the crown for best Guild Wars 2 Crafting Guide to Enigmus1 of Youtube. "Guild Wars 2 Complete Beginner Crafting Guide"
It is so easy to create a YouTube video and throw it up haphazardly and declare it a guide. Clearly this person took a considerable amount of time to put this video together and they deserve all the credit in the world for doing that. Since Enigmus1 has done such an amazing job at this video, and many of his others on his channel, I would implore that you go to YouTube and follow this gentleman because he makes some of the best videos for Guild Wars 2 that I have seen so far. Thanks for your time everyone. I will see you tomorrow! Guild Wars 2 tells you exactly how to make gold. No seriously, it does! Perhaps one of the coolest things that I found throughout playing the beta was that Guild Wars 2 has a feature built right into the trading post UI which essentially tells you how to make gold. I know it sounds a little bit strange but it is the truth! If you go into the second tab of the trading post there are four columns. The first is top valued items. The second is top supplied items. The third is top demanded items. Finally, the last one is top traded items. By using these tabs, namely the middle two, you can make a ton of gold on the Guild Wars 2 Trading Post. This tip is very easy and it takes little effort to actually make gold. In essence all you are doing is taking the two middle lists and comparing them to one another to find discrepancies between the two. On the top supplied list, at least in the beta, the most supplied item was copper ore. Similarly the top demanded item was also copper ore. That stayed true throughout the entire beta weekend and it makes sense considering copper is used to level up almost all the professions in the game besides cooking. So when you take a look at the two lists what you want to do is find items that are on the top demanded list, but not on the top supplied list. You can probably tell by now that what I'm about to explain is just simple supply and demand understanding. It is the classic example of buying an item at a low price and selling it at a higher one. The other thing you could do if you are not wanting to just buy the items to resell them would be to gather your own items by way of the different gathering professions or even utilizing the salvaging ability which rewards you with trophies and things of that nature. During the beta trophies were a hot-selling item for many people who want to level up there crafting quickly. During the course of the beta I spent an extensive amount of time obtaining the items that were on the top demanded list and not on the top supplied list. In most cases I sold them in a relatively short amount of time, but just like everything that you sell in the game it is always a bit of a tossup. In the coming weeks I will try to outline some strategies for how to price your items beyond what is already built into the interface of the game. While it is nice to have the option of matching the lowest bidder and things of that nature you can still place your own prices on items. Undercutting doesn't always constitute the best method for selling an item believe it or not. In fact – many times you can actually place your item for the same price or even a small bit higher and still sell your items. This is not any less true when you're selling items from the top demanded list. The beauty of selling items that are in high demand is that you are controlling the prices for the most part. So selling these items means that you can get a little bit more than you normally would under different circumstances. In many of the MMO's that we played in the past pricing was entirely revolved around doing your own research. The nice thing about the Guild Wars 2 Trading Post interface is that it's constantly tracking data for you. Things like Gems and the prices of Copper Ore are told to you right on the main screen of the trading post. This cuts down on a lot of extra time wasted doing the research and can now be redistributed to doing other things like gathering or crafting for profits. Guild Wars 2 trading post special Saturday update on incorrect information. I know initially I had said that I won't be writing posts on Saturdays. That is still going to be true, but on rare occasions I may throw one up if I have nothing else going on. In this case the Olympics are boring me to death since there are no good events on and I decided that I should clarify some misinformation that was posted on another blog out there. It pertains to the Guild Wars 2 Trading Post and certain strategies that some believe will work to make gold which are actually physically impossible. What am I talking about? Well it pertains to another blog that stated you should sell vendor items on the Guild Wars 2 Trading Post. One of the things I meant to research during the beta was whether or not you could actually sell vendor purchased gathering tools on the trading post. Unfortunately, I completely forgot to look into it when the time came. The game was just so fun and I had so many things to look into that this flew under the radar and I'd never thought about it until the Monday morning after the beta had Artie shutdowns. At any rate – the strategy that this blog had stated was to buy vendor purchased gathering tools, put them on the auction house and sell them for a markup of 10 times what you could purchase them for at a vendor. This in and of itself isn't a bad idea and I would absolutely suggest you do it, but it's the next part of their strategy that I wanted to set the record straight on. This is the excerpt of their strategy and how you can make gold with a markup on vendor purchased gathering tools. Player 1 lists Rough Mining Picks on the Trading Post for 10x the vendor price. Player 2 uses up their last rough mining pick while farming in the game world. He sees a super rare mining node and has to decide between running back to town for a Rough Mining Pick or buying one from the Trading Post. Both players benefit from the sale of that Rough Mining Pick! Also look into selling other vendor items like threads that are required to craft discipline recipes." How many of you after reading that already recognize that this scenario is completely impossible? Those of us who have actually played the game and have a thorough understanding of the Guild Wars 2 Trading Post already know that you can purchase items on the trading post from anywhere in the world. In that sense this strategy is correct. Where the impossibility comes into play is that they would be buying this out of convenience and they would be willing to pay 10 times the vendor price of the item. This is subpar advice based on the fact that anything you purchase on the Guild Wars 2 trading post, whether you purchase it in the world or in town, must be retrieved at the trading post itself. So the idea that somebody is willing to pay 10 times the vendor price is highly unlikely considering they would be forced to go into a town, which already would contain the vendor selling their item, to pick up whatever they had just purchased on the trading post. When I first decided to correct this misinformation I debated whether or not to add a link to this blog. It may be a bit controversial, but I have decided that I will not do that on the grounds that they are providing inaccurate information. In addition to that the blog writer is writing about making gold in Guild Wars 2 having openly admitted to never playing the game before. Something that I find to be absolutely deplorable. As you can tell this post doesn't pertain so much to making gold as it does to correcting information that has been put out that is absolutely incorrect. I believe that part of blogging, especially when you're trying to help other people, is getting your information as accurate as you possibly can. When someone admits that they have never played the game before and they get this sort of information incorrect I am more than happy to step up and let people know that it is incorrect – and provide the correct information. If people were to read that and start pricing their items on the basis that they can sell them for convenience at a severe markup they stand to lose money in a big way. I don't want that for any of the fantastic readers of this site so now you know and you got the correct information. If someone has tested out whether or not you can sell vendor purchase items on the Guild Wars 2 Trading Post. I'd be very grateful if you would pass along the information as to being able to sell vendor purchased items. I'm not going to make it a habit of calling out other blogs on this site. I strive to keep the community that I'm working on building as drama free as possible; however, I will always make it a point to correct misinformation no matter how basic it is. This is a great example because knowing that you need to go back to a trading post to pick up your items is one of the most basic things to understand when purchasing items on the Guild Wars 2 Trading Post. There really is no excuse for not knowing this considering it is the second line of the Guild Wars 2 Trading Post wiki page. Thank you for your time everyone and I will talk to you tomorrow! Did you enjoy this post? Show your support by sharing it with your friends on your favorite social media site! You can also subscribe to the sites RSS feed and, most importantly, join in on conversations on our Forums. Guild Wars 2 Gold Guides. Do you need them? Not at all! This isn't so much a warning to MMO players, but more just to those players who are new. If you have been playing MMO games like Guild Wars 2 you have no doubt run into those shady, scammy-looking, self-proclaimed best asset for making gold in the entire world guides. Many people do buy them. It is sort of that same thing where people will buy gold from websites. Heck!--it even goes beyond videogames. Get rich quick books have been around for ages--probably since books were first published, but you get what I am saying. The point is those books and guides exist because there is a demand for them from certain types of people. In the coming weeks you will be seeing a whole slew of Guild Wars 2 Gold Guides popping up saying that you can make tons of gold on the Guild Wars 2 Trading Post. I am here to tell you that while you can buy them; you really do not need one. So don't let yourself be fooled into thinking that you do. If you are going to spend your money on a way to make gold, why not just invest in gems anyway? Although you could just use a site that gives out what is essentially a Free Guild Wars 2 gold guide. Hmm, I wonder where someone would find a site like that? I have reviewed countless guides since I started blogging. I've seen guides for World of Warcraft, Aion, Warhammer, Star Wars: The Old Republic, Guild Wars, Diablo 3, Rift and some I'm sure I've forgotten. One guide author, and I won't call him out at this point, jumps from game to game and has already announced that he is going to be moving on to Guild Wars 2. He used to run a World of Warcraft blog which sold a guide, then he moved to Diablo 3 [also sold a guide] and runs a "How to blog" website as well which sells numerous services related to getting readers to a blog. While he stands out the most only because I know him personally he is not alone. This is how most of these people operate. They will always be out trying to sell their stuff to the biggest market available and that is why you see them coming to Guild Wars 2. Earlier I mentioned that guides exist for a certain market of people. I don't mean to insult anyone that has purchased one before, but the market I was referring to were people who are any one of the following things. Either they are gullible, they are lazy or they just don't know where to find the proper information. In most cases it is the last one. With the Internet being so big it is hard to ever find one specific thing in some cases and that is where the idea of having a guide is attractive to some. As someone who has always been against the selling of guides I would like to announce right now that I will be putting together a 100% free Guild Wars 2 Gold Guide! It isn't going to cost you a cent and that is the way free information should be. All these guides have information in them that is just collected, or even worse, recycled from previous guides that they have put out. So what will be in the Free Guild Wars 2 Gold Guide? I will be including as much as I possibly can, but it isn't going to happen overnight. It will be a constant ongoing process and it will never truly be complete. I will try to cover the most efficient ways to make gold in the game starting with the Guild Wars 2 Trading Post. This is a powerful tool since it is shared across all servers. Many people are already overwhelmed by the Guild Wars 2 Trading Post, but I am here to tell you that you need not be scared. One important thing to note is that there are always going to be more buyers than sellers. That is the nature of the market. So if you are adding a million new sellers that means that there are more than a million new buyers as well. That is the key component that many people are leaving out when they express their worry with the trading post. There is so much more to the game than just the trading post though. There is also much to speak about on behalf of farming, crafting, exploring, trading gems, flipping items, identifying markets, increasing your own efficiency and much much more. This post would be way too long if I tried to even write a brief statement on each thing so I will save you the time for now. My goal with providing a Free Guild Wars 2 Gold Guide is to eliminate the need for any of you to spend money. I am against those guides for many reasons. Not all of which I have already stated to you. That list is also extensive. On the other hand I do not go against new ideas and I will still do what I have always done and review any Guild Wars 2 Gold Guide that you guys want me to. I will give an honest review of the product and let you know right up front if you would be wasting your money or not. In closing I want to wish you all a fantastic weekend and hope to see you back here on Monday! This site has exploded in the last week since the beta and I have even gotten a few nice e-mails as well. I want to encourage any of you that want to contact me or even contribute a guest post to do so through the contact me form on the top navigation bar. Capitalizing on those lazy players on day one. Don't be one of them! On opening day and the days following there is going to be a massive demand for trophy's in Guild Wars 2. One of the first things I started looking into when I began working on the Guild Wars 2 Gold Guide was trophy farming. The most profitable ventures in MMO's are the supply and sale of commodities that other players need. Players are always going to take the path of least resistance. Therefore many are likely to buy their materials rather than farm them for themselves. Use this opportunity to capitalize off of others lazy behavior and don't fall victim to the temptation of doing the same. The strategy that I plan to use is to wait just a measly 48 hours after the game launches before I start to really hammer away on my professions. In my guide I stated that you need to get your crafting disciplines on their feet as early as you can. I still stand by that 100%; however, I also would consider saving money to make money and that would make waiting quite beneficial. I'm not saying to let your disciplines sit there and collect dust though. I am saying play the game as you normally would. All the trophies that you collect which help out your disciplines you should certainly use to advance them and discover new recipes. Everything else should be sold. Sell it early because those prices are likely to fall quickly. Learning from past MMO experiences I am expecting this to happen. I will explain a bit. It is this brief period that you are going to sell everything that you possibly can that doesn't directly help you. You are going to amass a sizable amount of gold by unloading all those trophies. While other players may be out spending 100 gold on a stack you will get it just 48 hours later, if you choose to buy it, for much less. Maybe even half the cost. At this point you can get much cheaper materials and level your discipline for much less. This all falls under that age old saying "If you are saving money, you are making money." If you are a bit worried with this strategy just keep a general eye on the markets when the beta rolls around. It is going to be a bit artificial since people know that they have a finite amount of time to play, but they are still going to have a certain sensibility about what they are purchasing. When the servers go live on July 20th just jot down on a piece of paper what the prices of ore are on the trading post. Wait four hours and track them again. Then wait another four hours and track them again. Do this as often as you are willing to spend time doing it. I assure you that after plotting it out on a graph you will see a declining trend in those prices. Whatever that trend happens to be just remember that it is with people who are radically spending their money. The Guild Wars 2 gem trade has potential for massive profits using the most simple economic strategies. One of the more interesting approaches by ArenaNet to fund the ongoing development of Guild Wars 2 is their idea to incorporate real-money transactions (RMT) into the game. Right now the only purchasable item in the game is gems, but who knows where that could take them years down the road. For today I will focus gems though. In case you don't know a thing about gems I wrote a post last Friday highlighting all the many currencies of Guild Wars 2. So if you are new be sure to go and take a look at that I will be right here waiting. Gems will be an important item in the economy because they are purchased by players. I know that they can be traded for gold. That is a huge feature to the whole gems market that will be a gold makers dream. The most basic concept in economics is buy low, sell high and the potential for making tons of gold off of gems is no different. Because the entire market is driven on players purchasing gems for real money the price of gems will always be fluctuating. When a bunch of players buy them they will be worth less and when those gems are gone they will become more valuable. The way you make money on this is by anticipation and research. Unfortunately there is no way to know much about their pricing patterns at this point since we've got no legitimate market to reference at this juncture. When the game launches there will be an incredible opportunity to make some serious gold. There will be no established pricing point so you could spend a few buck on some gems and sell them for gold. They will likely sell for much more in the first 48 hours than they will after that. If you are willing to spend $5-10 this may be the easiest way to get some capital and start your speedy journey to leveling up your professions. Now if you aren't prone to spending real money on virtual item this is the other option. First--DO NOT buy any gems in the first 48 hours of the games launch for gold. They will be prices extremely high and players are going to be greedy trying to catch an early buck. Instead I would suggest you take note of the price as one of the first things you do when you log in on day 1. Then check that prices every few hours. If the prices drops then you keep waiting. Continue waiting for that price to fall. You will be amazed at how ridiculous the prices where when you logged in. This is common in every MMO to have ever been released. World of Warcraft, the game I came from, had this same thing happen with ores when Cataclysm launched. Now that I've gotten the first 48 hours out of the way I will show you how to profit in the years after that. Or at least until they change things up entirely which isn't impossible. The key to making money on gem sales will be in tracking the prices. There are common trends in MMO's in that prices rise an fall due to different levels of player activity. The game will have different levels of people playing it at different times. Day to day there will be more people online between the hours of 6PM and 10PM. Those are pretty standard peak hours for all online games. Then you have the weekly trends. More people will be playing the game on Friday and Saturday nights than any other time. These higher levels of player activity will result in more gems being purchased and thus the stock of gems will shrink. In turn, the prices of gems will rise due to that. Since gems are essentially a consumed item and they need to be purchased with real money its stock isn't as likely to be replenished as quickly as if it were crafting materials. At least that is general consensus across most of the community. Going on a time slot of 6PM to 10PM is a great place to get started, but you will still want to personally track the prices because efficiency is key and you want to maximize the amount you are getting on your investments. You may be able to get 5-10% more just because you sold your gems at a certain time. It doesn't sound like much, but stretch that profit out over a few months and you will have accrued a nice chunk of gold. One of the major things I am covering in the Guild Wars 2 Gold Guide that I am working on is efficiency. There are always corners that can be cut for profit and it is important to identify them in order to squeeze extra gold out of your every interaction in the game. Guild Wars 2 Day 1 Beta Impressions. Hey everybody, this post isn't going to be as much about gold making but more or less just my impressions of the beta so far. Having spent only about five hours and at this point I have to say I am very much impressed with the game. My number one concern was the graphics from all the videos that I've seen. It just seemed a little bit like the graphics weren't as good as some of the other ones I've seen as far as the current generation of massively multi player online games go. I can confidently say now that the videos did not do the game any justice as far as the graphics. I am completely blown away by the way this game looks. It has some incredibly vivid colors and the terrain is just breathtaking. On top of that, the terrain itself just the way it's lain out is fantastic. As far as the stability of the game goes I am also impressed with that as well. The setup that they chose where the have overflow servers is pretty genius if you ask me. I got a few notifications that had been placed in overflow server based on the server that I was playing on. What was nice about having these pop up was that they weren't intrusive in any way it was just a simple notification where you could click okay or I believe cancel. It didn't take any extra time to do anything there wasn't even a loading screen which was very nice. Now – I understand it is going to be a plethora of issues that need to be fixed before the game launches. That's common with just about any game nowadays. There's a few minor tweaks and glitches here and there that I've run into, but as long as you take the time to let the company know about it blows can have the chance to be fixed by the time the game launches. I do have a few issues with the game right now. None of which are game breaking if you ask me. Perhaps my biggest gripe with the game comes with the jumping mechanic. Maybe it has to do with my experience in prior MMO's, most specifically World of Warcraft, but it seems like that jumping animation is incredibly fast. It seems like you jump up in the air and then you actually shoot back down to the ground which is really strange to me. I did make a point to check a few of the different races to see how it looked with them and I can say that the Charr make the animation look normal. Or at least more normal that is. As I mentioned earlier I am very impressed with Guild Wars 2 so far. I look forward to testing out the game for the rest of the weekend and experiencing the content as I progress to the game. As I mentioned earlier this morning in my post my main goal, for myself, in testing out this game this weekend is to establish ways to make gold when the game finally launches. I will be putting out a few more updates tomorrow during the day, but I cannot tell you when they will happen because they are pretty spontaneous. I've also been taking a lot of video since the beta went live. In the coming days I will be uploading a lot of the videos to YouTube and putting them in posts on this site. Stay tuned for all the posts that are coming up in the next 48 hours. Thank you and I hope you guys are enjoying the beta is much as I am! Primary goals for Guild Wars 2 beta weekend. For the vast majority of people who are going to take part in the final beta weekend it is just a chance to play the game that they've been anxiously following for the last 3+ years. To some extent I am the same way; however, I do have a little bit of homework to do while I enjoy Guild Wars 2 as well. That's right! I'm not just going into this weekend wanting to play the game. There are many questions to be answered at this point. What are gems going to trade for? What is the most efficient way to craft? What is the most efficient way to farm for crafting materials? Those are all important questions that need to be answered before the beta is over. I say need because a lot of the strategies for day one will depend on knowing those answers. I understand the desire to just play, or test, the beta when you get into it. Many people would rather take these opportunities to play the game instead of doing a bit of homework. Majority of players are going to do that. Which is exactly why you will be ahead of the curve on day one if you take this time and spend just a few extra hours to familiarize yourself with some of the best gathering routes or even the locations of farms. It is having these small bits of information that add up to having a sizable advantage over your competition on day one. It sounds very korny to say, but moments like this really can separate you from the rest of the players. I'm not going to tell you exactly what you should do this weekend. I never intended to tell you or anyone reading this site how to play the game. If I am telling you what to do you aren't playing the game for yourself and to me that just doesn't sound enjoyable. Researching doesn't mean you have to spend the entire weekend crunching numbers and recording vendor prices of items. One of the most simplistic things you could do would be track the price of gems. I have stated time and time again that the gem market will be an easy way to make money. Especially since they are all on a shared economy. What tracking the prices of gems will do is give you a loose prediction on what you can do at launch to turn profits on gems. During this weekend, while you are enjoying the game, just keep a sheet of paper or two near you and keep note of different important things as you play/test Guild Wars 2. It is an important time to do some of the easy legwork in order to get the jump on your competition, but above all make sure you are enjoying yourself. It is going to be a very long month wait before we get to play the game again so get your fill. See you all in beta! P.S. I will be posting a daily update over the weekend on my findings. It may come across as the ramblings of a mad-person, but I will be playing extensively so I apologize in advance. Understanding the flow of gems in Guild Wars 2. Today's post is just a simple diagram that I created last night on the flow of gems in Guild Wars 2. Some people have been a little bit confused in thinking that they could purchase gems, using gold, from ArenaNet. This is not the case. You can purchase them with gold from other players, but not from Arenanet. Hopefully this will eliminate a bit of the confusion--or, given my artistic ability, it will make you more confused than ever before. Gems will be a monster market in Guild Wars 2. Making gold off of gems will be as simple as the age old strategy of buy low, sell high. When the supply is high you will buy, buy, buy. When it is low you will sell, sell and sell some more. Do your research during the beta. This also includes buying gems. As we are here gearing up for the beta ArenaNet released a bit more information on what we can expect this weekend. The biggest thing they mentioned was actually old news for most people. It was announcing that we will be able to test out the Asura and Sylvari characters. 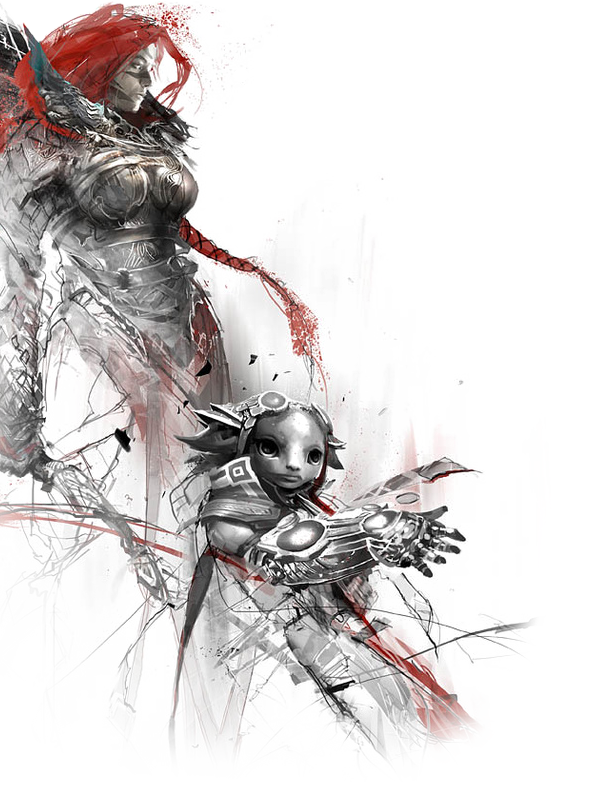 if you are unfamiliar with these classes all you need to know is that the Asura have a character named Zojja and she is voices by Felicia Day. If you don't know who she is I can't help you sorry. In addition to the new character classes we are also going to be able to see Brixban Wildlands for the first time. For me this consists mostly of gather, discovering farms and locating major points of interest for gold making. I will be trying to compile a list, with locations, of all the farms that I can get around to finding. Some of them are public information already, but then again everything is public information as some point when the Internet is involved. Keg Brawling is something that I have to be honest and say I haven't heard of before. I don't follow every forums on the Internet so it may have been mentioned and slipped through my fingers. My apologies--I'm human. At any rate Keg brawling is a mini-game where you are tossing kegs across an icy lake and try to fill up Ale Collectors belonging to your opponents. Then there are Vistas... Something I have a hard time getting excited out. It is a panoramic view of the area that you are in. This video that ArenaNet linked to pretty much carries the same level of excitement that I have for vistas, but don't take my word for it. Last bit of non-information pertaining to the beta before I get into the guts of it is additional maps for PvP and expanded World versus World compared to previous beta weekends. This is the part of the post that gets into the gold making side of things. You know--the reason which you are likely here for. They have opened the gem store for the beta which to some may seem a bit strange, but don't worry. I would actually suggest purchasing some gems this weekend. Don't go crazy and spend a hundred dollars or anything like that, but spend a few bucks. I suggest this strictly for research purposes. Oh yeah--and you get those gems back when the game launches so it's not like you're flushing money down the turlet. Even though this weekend is just a beta people have spent real money on gems so they aren't going to spend them like they are play money. They may be a bit more cavalier than they would at launch, but it will still be a good measure of what you can expect at launch. If you really are against the whole Guild Wars 2 Real-Money Transaction thing you can just wait for my to post my own findings. I do want to stress that I am just one person so don't take my findings as carved in stone statistics. Hopefully enough people will purchase gems knowing they will get them back. If that is so we will get a pretty good cross-section of what to expect on launch day. The thing you will want to do is track the prices of gems from opening day until the beta shuts down. The more often you can track them the better off you will be. Having more data is always best; which I'm sure I didn't need to tell you. I wasn't able to get into the Guild Wars 2 Beta Weekend what do I do? If you weren't able to get into the beta weekend you aren't out of luck. First I would like to know why the hell you didn't preorder the game since it granted beta access. I'm joking. I understand that some people don't go for preorders and that is fine. If you aren't going to be participating in the beta you can still watch any one of the thousands of live streams that will be going on. I am still debating whether I will be doing so or not. It will come down to whether I see a drop in performance or not when I am streaming. Either way though, if I don't stream you can watch the official Guild Wars 2 Twitch.TV Channel. There will also be a live stream from the guys as TheTyrianOrder as well. I will try to publish a streams list on Friday before I get going if I have the time so you can jump around if you like. No promises though. So how do I make gold in Guild Wars 2? How do I make gold in Guild Wars 2? For anyone just starting out in an MMO, or even just a new MMO, it can be extremely overwhelming when you begin. Quickly you realize that the game is significantly less enjoyable when you lack gold. Without gold you are actually held back from doing some of the most fun things the game has to offer! Repair costs alone can run people broke if they don't have a steady income in the game. In many ways Guild Wars 2 is like real life. If you play the game regularly you will have regular recurring gold costs that are, in most cases, unavoidable. This leads all Guild Wars 2 players to the same question. "So how do I make gold in Guild Wars 2?" Most players have little desire or motivation to make gold to the extent that I want to. I wanna roll in it! Many players just want to have enough to participate with their friends and/or guild-mates. So that becomes a different challenge. That's right, making less gold can be more of a challenge for some. You see people, like me, who want to make incredible quantities of gold are into controlling markets, playing trends, and just plain old fashioned ruthless economics. Where other players may be willing to go to that point, they just don't know where to start. So I thought about how someone who is just wanting to make enough to have a good time would go about doing that. Here is exactly How to make gold in Guild Wars 2. The key to making gold is to go for those simplistic markets that you can drop in an out of without having to go up against competition. Those would include food ingredients, ore, wood and even bags will be fine. Bags may be a bit more competitive, but they will always be a big seller so I wouldn't shy away from selling them. The second way is farming. There are two ways you can make money doing this. Sometimes people will literally hire you to go out and farm for them. While this may not be the most graceful way to play the game it is easy to do and you can pretty much shut your brain off while you are doing it. Of course this would be the option only in the case when the crafting materials market is in the tank and selling ore yourself would seem like a lot of work for little reward. This is likely to happen when the bots come crawling out of the woodwork. I know it seems strange to suggest being a farmer-for-hire, but in many cases those that are just looking for a little gold to get by do not have their professions leveled up--thus why I suggest this method. Guild Wars 2 caters to this because you don't have a physical profession to get leveled up in order to utilize your gathering skills. Guild Wars 2 Gems will be a great way to make gold! Third would be gems. The price of gems is going to fluctuate a ton. The only way for gems to enter the market is by way of real money transactions. The thing we don't know right now is how much people will be willing to purchase them. I know of a few people that are going to go by one rule of thumb. They are not going to spend more than $14.99 in a month. You probably already know, but that is the cost of a months subscription in any other MMO that you would play. I tend to agree that this is pretty safe rule to go with and I actually think many players will do this. The second aspect to this is that many players are completely against purchasing virtual items for real money and this leads to gems being in short supply. They are also an item that is destroyed upon use so I think that there will be regular shortages of gems for those people willing to trade gold for them. Due to this there will always be a market for the purchase and sale of gems. At that point you just play the market. Buy low and sell them when they are high. Or if you want to spend a few bucks you could just buy some and trade them for gold, but honestly that would be my final choice. There really are no shortage of ways to make gold. Those three I just told you about are going to be the most simplistic that I can think of at this point. I may append a few more to this post for history sake if I run across any more or I may just make a part two to it. I don't know at this point. When the beta is complete we will have some solid numbers to go for you. In the meantime for all of you casual players just wanting to make a bit of gold when the game launches. You're welcome. Guild Wars 2 professions builds application. Get your profession fine tuned for beta weekend. Today's post is not so much a gold tip, but it pertains to the upcoming beta weekend on July 20th-22nd. At this point anyone who is waiting to play/test Guild Wars 2 is going bonkers in anticipation. This application has been around for quite a while, but I have gotten a few email from people asking about the best builds for gold-making. The cool thing about Guild Wars 2 is that there really isn't a premium build that is better for making gold. Any situation where you are going to be making gold you are just playing the game and killing monsters so rather than find an elite build you should just aim for a build that you enjoy and can handle doing for a long long time. If you would like to find a build for your desired profession here is a Guild Wars 2 profession builder application that you can play around with. I have researched a few for myself with this. It's not perfect, but it is one of the best I have seen up to this point. It is important to note that this builder is based off the first beta weekend, but for the most part the builds themselves are unchanged. In addition to researching your own builds you an also view some of the others that have been created and discuss them. Guild Wars 2 doesn't have the same talent tree system that some of you may be used to. It is much more simplistic than some, but it still makes each choice you make just as important. The presumed final beta weekend is fast approaching. As of writing this ArenaNet have not stated that there will be another one so be sure to use this opportunity to research your gold making strategies for launch day. One of the most important steps for Dominating On Day 1 involves this coming weekends beta. Enjoy playing around with the builder for the rest of the day and I will see you right back here tomorrow for more gold making strategies! Guild Wars 2 overflow servers explained and why they are great for those wanting to make gold. If you are a fanatic of Guild Wars 2 you've probably heard by now about their overflow server system. Basically what it does is put on you on a different "overflow server" if your normal server is currently full. This is great for everyone, but for people who are there to make gold this is fantastic. What this does is eliminate the need to worry about a server when you do decide to play. Let me elaborate a bit. One of the worst things for a gold maker is to log in to a game and have to sit in a queue waiting to get into the game. This is completely dead time that could have been used for farming, selling or crafting. Dead time is completely eliminated with the implementation of the overflow servers. Just a quick little side note for those of you that have no idea what the hell I am talking about when I say overflow servers. Basically what this is, is a system that ArenaNet have designed to completely eliminate server queues. For example. If a server can hold 10,000 people and it reaches its capacity; when you try to log in to the game you are placed on a live, fully playable, server until you are able to be transferred to your server. They haven't said if you will have to reload of if it will just be switched on the fly, but either way this is a great system. There you go. The more you know! Not only are these servers a great idea, but they also make the decision of what server to join easier. Well--not easier. It just makes it a non-issue really. When I was playing World of Warcraft I chose to go onto a server that had a mid-range population because I knew that when expansions and major patches came around I wouldn't have to sit and watch a number shrink for 45 minutes before I was able to get into the game. This system eliminates that. With the waiting period not being a problem I can now head on to a much larger, more populated server. So what does that mean? It means that we now have much larger person to person trading markets to work with using the buy/sell requests. More players to sell to and more players out there to provide the crafting materials that I need to make items to sell. With a larger economy comes more competition as well. If you use everything that you are taught on this site and in my FREE GUIDE you will have no trouble competing with other players. Not only will you be competitive but you can also monopolize entire markets if you play your card right. Being that we are on a special server, as far as I have heard, I am still curious if posting things on the trading post will be allowed. I haven't heard any official thing on this and I have been digging around a little bit. I would think that it will be possible, but I don't want to assume anything and have to eat my words down the road. Regardless of the trading post question the overflow server system is a genius idea and it eliminates many worries that I have had pertaining to server populations. When I can focus on what markets to play rather than what server to choose it makes the pre-release research that I have been doing much easier. Before the overflow servers came around I was more interested in where certain communities where going to be playing and less about making gold. Thanks to ArenaNets design I can focus all my efforts between now and release on developing new strategies for making gold--which is what this site is all about. Bags are, and will always be, the most stable market in Guild Wars 2. So what should you be selling in Guild Wars 2? That question is tough to answer without having the game itself to reference and point you in the correct direction, but there are a few items that we already know will sell. Certain items in the game will not only sell, but they have to sell. One of the most important must-sell items that is in Guild Wars 2 are bags. If you were asking the question "What should I sell to make easy money?" My answer for you would be bags. The unique thing about Guild Wars 2 compared to other MMO's is that the crafting of bags isn't limited to one profession which means this market is easier to get into. Bags are, and always will, be used by every single character in the game. What other item in the game can you say is used by every person who plays the game? That is why if you need a fail-safe market this is where you need to go. The way the game is setup every player will have seven bags. Three of those slots will have to be purchased with gems. I will get into gems in a later post since those are going to be another way to rake in serious gold. The number that matters to you most is seven. Every character that is created will have seven bag slots and all of them are potential sales for you. OK--now lets get into the nitty gritty of bags a bit. The three different disciplines that can craft bags are Armorsmithing, Leatherworking and Tailoring. While they all create bags they do not all create identical bags. Each of the three disciplines can put different modifiers on their product. This is great because it will create a demand for certain products that you can create in addition to the constant market that bags already provides. Basic - This is just your normal bag. Craftsmans's Bag - All crafted material that you pick up is automatically placed here. Invisible bags, pack and safe boxes - This is essentially a safety deposit bag. When something is placed in this bag it doesn't move, it can't be sold and it doesn't get sorted when you sort your inventory. This is an awesome idea for alternate gear sets and important items that you may have in your inventory when you are selling items quickly. Oiled Packs - These are your junk bags. The crap that you pick up will go here. It is just a nice way to keep the junk/grey items separate from your other stuff. Padded Boxes - These bags automatically sort your weapons and armor that you pick up. As you can tell all the special feature essentially sorting your stuff for you. It is a nice feature to have when you are firing through tons of items. You will no doubt be doing that if you are going to be making gold. Bag sizes are going to be the biggest kicker in pricing points. Right now the known bag sizes are 8, 10, 12, 15, 18 and 20 Slots. As they get larger they require materials that are significantly more expensive. I'm sure you knew that was coming. Depending on which size bag you want to craft you will need a Rune Of Holding. There are also different tiers of runes which make it tougher to craft those high end bags--thus why 20 slot bags are going to be much more expensive. I didn't want to get into too much information when it comes to bags because a lot of it is just spewing up numbers and stuff like that. It is impossible to nail down profit numbers when I have no economic information to go off of and also I must point out that every server will be different. The only thing that is set in stone is exactly what I said in the beginning. Everyone will need bags. Guild Wars 2 chat channels should be your greatest asset for making gold. In every MMO I've played the number one place that I take advantage of is the chat channels. More specific the trade chat channel in World of Warcraft. The equivalent in Guild Wars 2 is the local chat channel. Guild Wars 2 Gold Guide is a huge supporter of using chat channels to make profits. There are so many reasons why using in-game chat is almost better than using the different trading posts. There are numerous advantages that do everything from increase productivity, cut down costs and even building relationships with other players which, if you ask me, is priceless. The staple reasons why using trade chat come down to the most important thing when making gold. Everything you do should be done with efficiency in mind. So how does trade chat make you more efficient? You can negotiate prices! You are dealing directly with a person that you can convince to sell to you at a lower price. When you purchase crafting materials or gear on the trading post you don't get that luxury. If you can get an item for one gold less and you are buying 1,000 of them you just saved yourself 1,000 gold. This is a huge plus mark in the efficiency category. Cutting down costs. 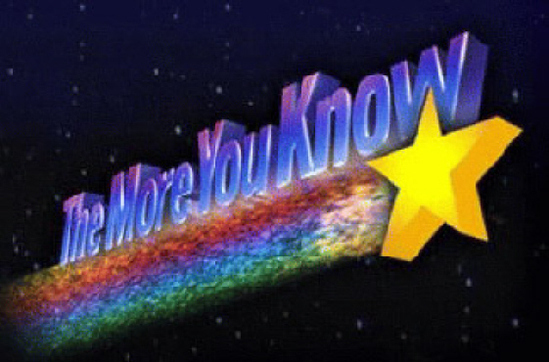 Whenever you sell anything on the trading post you are giving away 5% of your profits to ArenaNet. There are fees of gold whenever you sell on the trading post and utilizing local chat you can eliminate that fee. This is a big deal when you get into the high price items that are selling for hundreds or even thousands of gold. Building business relationships. If you begin dealing with the same people day after day you are building up a relationship with them. With relationships and friendships people are much more likely to throw you a bone once in a while as long as you don't continually take advantage of them. So if you can float them a piece of gear for a discount while they are giving you discounted crafting materials this is a great way to increase your profits. Local Chat is full of people looking for instant gratification. People that are using local chat are wanting something then and now. If you are there to provide them with their needs you are helping them out. When people want instant gratification they are much more likely to pay more for an item. The trading post can be accessed from anywhere, but people are going to be hanging out in the cities more often than you would expect. It is just the nature of MMO's. There are very few deals on the trading post. When people are selling things on the trading post they are, in most cases, interested in getting as much as they can for their items. If you are dealing in trade chat people may be doing a selling three for the price of two or something like that. These are steals as long as the item they are selling can be resold. You just don't get to see this sort of stuff on the trading post. There are dozens of other reasons why you should be using local chat. I do want to clarify and make sure you guys know that I am not telling you to stay away from the trading post all together. You should be using the local chat as a compliment to what you are already doing. There are just as many benefits to using the trading post. Most of which I do not need to explain right now, but the one I will point out is that you are getting a demographic of buyers many many times what you would see in local chat. Making money with Guild Wars 2 crafting disciplines. Picking disciplines that compliment one another. 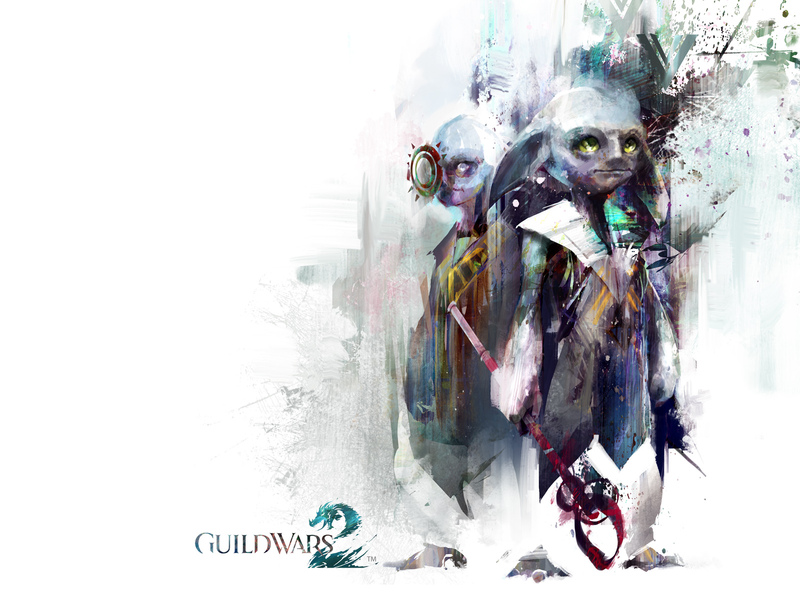 The primary ways that you will make gold in Guild Wars 2 comes from your crafting disciplines. Here at Guild Wars 2 Gold Guide I am always trying to find the latest and greatest ways to make you gold using them. All MMO's have an economy that largely revolves around their crafting professions. This is because it is the only aspect of the game that has no limitations to what you can do. If you play the economy the game never ends. While people participating in PvE aspect of the game may clear all the content there is no end game for the economy. So while other players may be bored with the game you are still there supplying players with everything that they want and need. So how do you make money with your Guild Wars 2 crafting disciplines? Weaponsmith, Armorsmith, Artificer, Leatherworker, Jeweler, Chef, Tailor, Huntsman. When you are picking a discipline you need to decide which ones people will need the most. The first choices should be a Weaponsmith. I say this because people can play the game for a little while and not have a certain piece of gear on their character, but no one can play the game without a weapon. Then you've got to look at which weapons are being used the most. Artificers will cover magical weapons; so Foruc, Staves, Scepters and Tridents. On the other hand a Weaponsmith can craft axes, daggers, greatswords, hammers, maces, shields, spears and swords. You are covering many more weapons if you go with a Weaponsmith so that could be your first choice. The thing that I predict already is that many players are going to hop on the Weaponsmith discipline. Don't let this shy you away from picking it up though. You just need to get a leg up on them and be ultra competitive when the game launches. After your first profession it gets more difficult to determine what you should be doing. What I would do is pick a profession that can help out my own character if I am going to play the game outside of just dominating the economy. So that means if I were going to be a Soldier class I would want to become an Armorsmith. It is a profession that will give me a benefit to have and it will also provide other players as well. As an added bonus I will also have extra information to use when selling items from that profession since I will have a better understanding of what my class is looking for. The goal is to have professions that are going to compliment what you are playing. If you are only going to play the economy it really doesn't matter what you pick, but it would be a shame to level something up to 400 and have it be useless for you. If you are unsure which professions interest you or which ones you think you should be using you can use what I have just taught you to make your decision easier, but ultimately it comes down to your play style. You don't want to be doing any profession that is a bore to you so choose wisely.